Save 45% and EVEN MORE SAVINGS now through Oct 31, 2018. Book before the end of October and the discounted rates start at just $113. 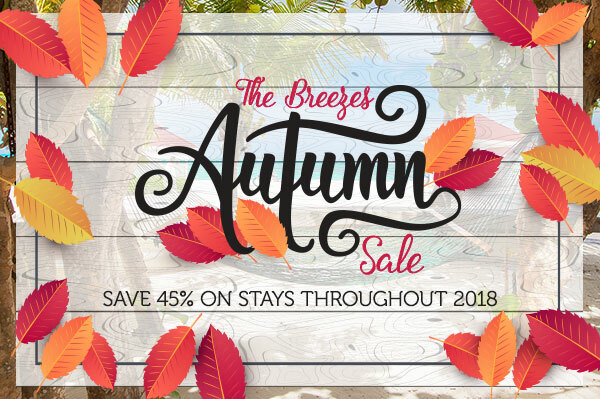 Now if your travel plans are for November and December the 45% Autumn Sale savings still continue through the Winter Season when rates go up. Nov and Dec sale rates continue through Jan 2, 2019. This a great offer, but I also found additional savings on the site! There's an even better deal for October travel where you can save 58% off during the Not-So-Very Scary savings event! To qualify for the savings book now and travel between October 28 and Nov 3, 2018. I've included links for all the specials at the end of this post. 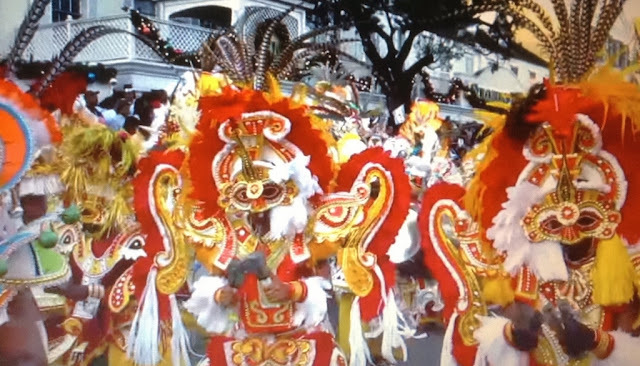 Here's what is included at Breezes Bahamas? All-inclusive package includes all meals in a variety of restaurants, unlimited drinks including cocktails & wine, land & water activates like sailing, kayaks, rock climbing, tennis and more, live nightly entertainment, FREE WiFi and no tipping is ever allowed! 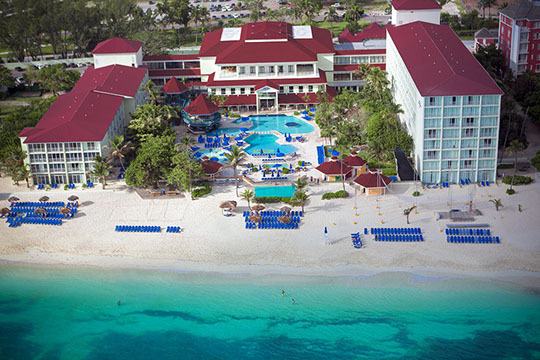 Breezes Bahamas commands a pristine stretch of the powder white sands of Cable Beach - Nassau's Best!